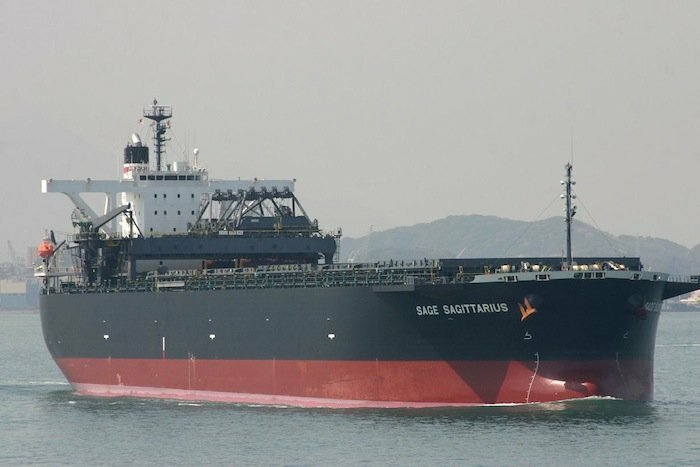 Sydney: A Filipino seafarer was helicoptered off the Sage Sagittarius coal carrier today suffering severe abdominal pains. The ship has been at the centre of an inquest in Sydney in recent weeks over the mysterious deaths of three seafarers in a six-week period in 2012. The inquest has attracted much local media coverage with Australians now referring to the Sage Sagittarius as the ‘death ship’. A helicopter landed on the vessel controlled by NYK subsidiary Hachiuma Steamship at 11.50 this morning off the port of Newcastle and took the seafarer to a nearby hospital. His condition is described as stable now.